A National Cancer Plan (NCP) is a public health programme designed to reduce the number of cancer cases and deaths and improve quality of life of cancer patients, through the systematic and equitable implementation of evidence-based strategies for: prevention, early detection, diagnosis, treatment, rehabilitation, palliation and research to search for innovative solutions and evaluate outcomes. It is designed with the aim of making the best use of available resources. During the design of a comprehensive NCP an evaluation of the various ways to control cancer is undertaken and the plan will then incorporate and promote the implementation of those measures that are considered to be the most cost-effective and beneficial for the maximum number of persons in the population and according to the specific situation of the nation and the resources (present and planned) at its disposal. - improves the life of cancer patients, no matter what resource constraints a country faces. NCPs are also an effective tool for the communication of the decisions and the plans identified and chosen by a Member State and the evidence supporting and influencing them in a transparent fashion both to public within the Member State and also with and between other members of the European Union. Controlling cancer in Europe will require the investment of substantial resources and the effective coordination of national policies. In a study published by WHO in 2004 it was shown that there are notable ‘performance gaps’ in the cancer control programmes operating in different countries in Europe. Europe is still characterised by unacceptable inequalities in cancer control both between and within Member States. These can be exemplified by the widely-diverging cancer survival rates published in the EUROCARE studies. Since the beginning of the 21st century a number of EU Member States have started to develop, publish and implement NCPs. 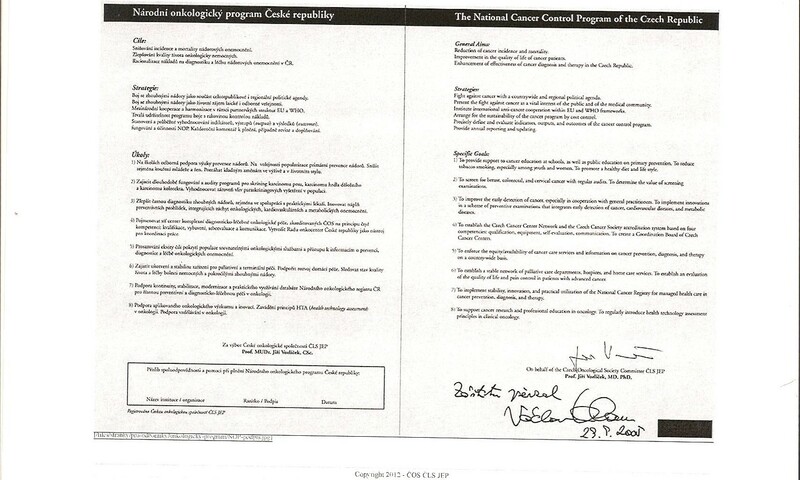 The Communication from the Commission of 2009 on Action against Cancer pledges that by the end of the Partnership, i.e. by 2013 all Member States will have adopted integrated cancer plans. However, several EU Member States are still in the process of developing their first ever plans and some others have not yet started such a project. Nonetheless, to date, only a small number of Member States are already in the process of evaluating their first cancer plans and re-issuing a revised plan to cater for the next few years. Notwithstanding this apparent progress, inconsistencies and heterogeneity also abound with regards to the content of these national plans. A recent systematic assessment of the National Cancer Control Plans available in Europe in 2009 showed that despite the growing number of plans in Europe (19 in the 31 countries studied), significant differences remain between them. A major source of concern is the fact that in many cases, elements crucial to a health systems approach and to the efficacy of the plans such as financing, resource allocation or governance were missing or inadequate. WP 10 is aiming at establishing the state-of-play in the development of NCPs in the EU, at conducting an analysis of the content and an evaluation the effectiveness of the extant plans and ultimately at facilitating the transfer of knowledge and expertise obtained on the design, challenges encountered, implementation and outcomes of NCPs between the EU Member States. One of the main deliverables of the EPAAC Joint Action has now been published, the European Guide for Quality National Cancer Control Programmes. The Guide is the main deliverable of the work in EPAAC on National Cancer Plans. Following the Steering Committee meeting in Athens late September, we are pleased to make available the final version of the report "National Cancer Control Programmes: Analysis of Primary Data from Questionnaires". The report is a culmination of the first stage of EPAAC's National Cancer Plans Work Package (WP 10) and analyses the data gathered from questionnaires sent to all EU Member States, Iceland and Norway regarding the state of respective National Cancer Control Programmes. One of EPAAC's key deliverables is the preparation of guidelines and specific indicators for a high-level standard National Cancer Control Programme, which will be available at the end of the Partnership in early 2014. @HCPhealthindex Of course! The results will be posted on epaac.eu as soon as they become available.